Mid-January 2019, I get the chance to travel back to Seoul, Korea with my mom. It can say the shopping trip for both of us. During this trip, I take a chance to visit the Plant Café & Kitchen located at Itaewon, Seoul. As the title of this café, they provided the vegan's menu to the customers. The themes of this café are tropical, unique and creative with a lot of plants on every corner in the café. Its make me feel like in Bali sometimes. I like it so much and I can relax enjoy my meals in this café. This café looks quite small on the second floors but it's nice. Maybe this café can fit around 20 – 30 person in one time. The operation hours from Monday to Saturday, 11:00 am until 10:00 pm (Kitchen closes by 09:00 pm). This café closed on every Sunday. I have been ordering our lunch – start from the drinks, I order the Hot Apple Ginger Tea (KRW 7,000 ~ RM 26.00) and Yuja Citron Tea (KRW 5,000 ~ RM 19.00) from the Specialty & Seasonal Drinks in the menu. Then, I order the Caesar Salad (KRW 12,000 ~ RM 45.00) and Mushroom Burger (KRW 14,500 ~ RM 54.00). My mom chooses the Yuja Citron Tea and Caesar Salad. The Caesar Salad comes with the green salad mix, herbed croutons, tofu cubes, cashew-based Caesar dressing, grated parmesan cheese, fried onions, and toasted multigrain bread. This salad is quite normal for us and nothing special. 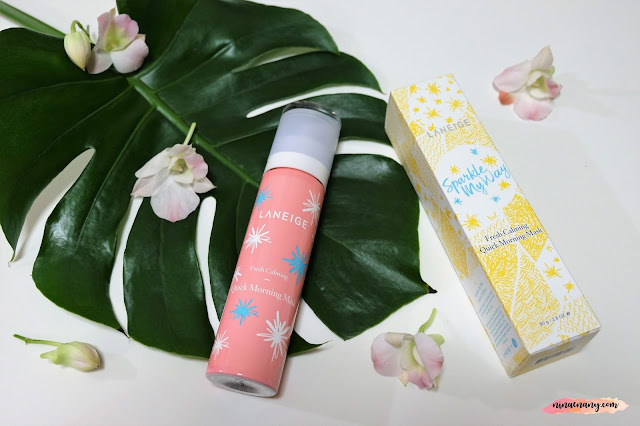 On early July 2018, I was bought a lot of the Mamonde's products from Hermo website. 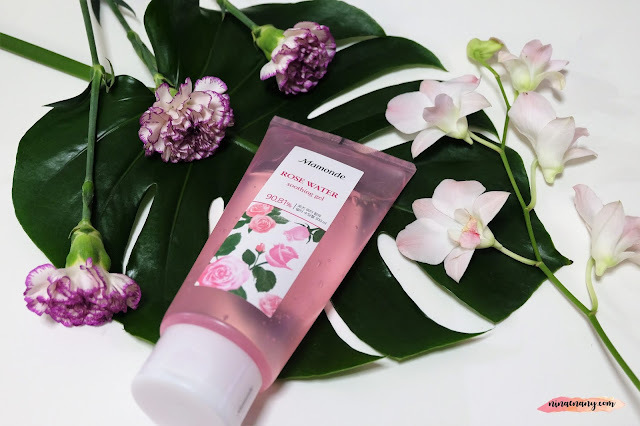 In this time, I would like to make the small review about the Mamonde Rose Water Soothing Gel (300ml) with the Mamonde Top Pick's Set (RM 107.00), include the Rose Water Toner (250ml), Rose Water Soothing Gel (300ml), Petal Spa Oil to Foam (25ml), and Calming Hydro Sleeping Mask (15ml). For me, it is a great deal. The normal price of Mamonde Rose Water Soothing Gel (300ml) is RM 55.00 and the Mamonde Rose Water Toner (250ml) is RM 85.00. So in total is RM 140.00. The Mamonde Rose Water Soothing Gel (300ml) is a multi-purpose, soothing gel containing 90.81% rose water which makes skin feel hydrated but at the same time absorbs quickly with multi-use Sundjel. The true moisturizing effect of Da masked tsu. The morning dew is raised, and it picks up a mask of a mask and gives an excellent calming and moisturizing effect to the skin. The massive multi-use water gel, which is it can be used in the facial, hair, body and etc. The dry and tired parts of the rose incense and calmly cool while leaving the scent of roses. 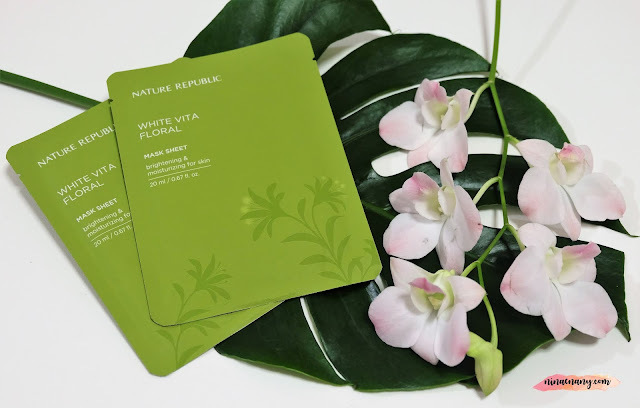 The formulated without 7 ingredients, which are free of animal ingredients, mineral oil, polyacrylamide, imidazolidinyl urea, triethanolamine, tar pigment, and PEG surfactant. The raw material is Damask Rose and it is located at Rose Valley. The rose is loved by charm and fragrance is one of the best roses among the hundreds of roses. It is easy to use, reduces the amount needed and spreads it on the face, hair, body and other areas as needed. If you store in the refrigerator, you can use more cool. For me, this product makes my reminder to the Aloe Vera Soothing Gel. The purpose of both products is almost the same, just the difference is the scents. So far, I like this product especially the scent of roses. It is great to use during the summertime like in Kuala Lumpur, Malaysia. I would like to give 4.3 stars out of 5 stars to this product and I will repurchase again. On early July 2018, I was bought a lot of the Mamonde's products from Hermo website. 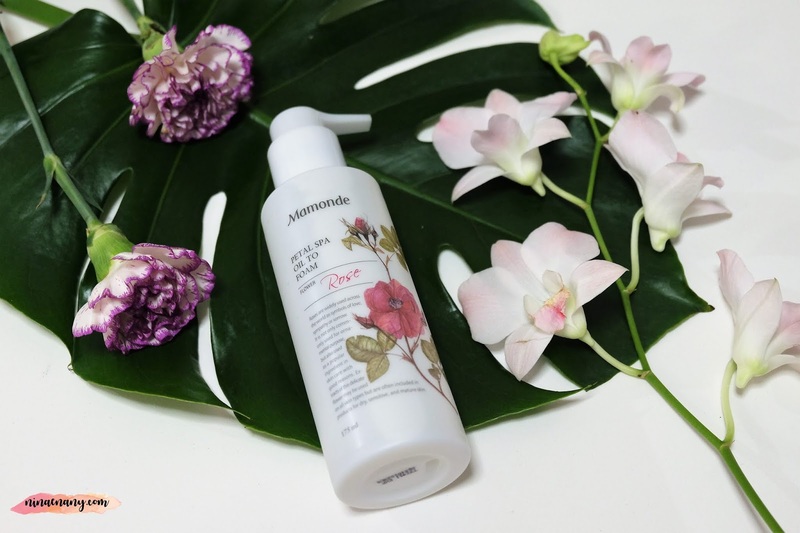 In this time, I would like to make the small review about the Mamonde Petal Spa Oil to Foam (175ml) with the normal price is RM 56.00. An oil cleansing foam for quick and easy cleansing that gently dissolves makeup with oil and foams a rich lather with water. The product features are oil dissolves makeup gently, transforming gel cleanser with water-activated foam, and in the case of base makeup, single-cleansing with this cleanser is enough. The product benefits are a water-soluble moisturizing ingredient (polyol), which is great for removing base makeup and keeping the skin dewy (skincare effect); great cleansing power and gentle lather in one go; convenient double cleansing effect; and 2-in1 effect of oil and foam. So far, I like this product. It gives the same effect as another product I have been used it before. The smell is really good with rose. It really cleanses the skin well, like double action removing both makeup and dirty. I would like to give the 4 stars out of the 5 stars to this product. Honestly, I know the brand of IOPE but I never try any of the product from the brand IOPE. I bought the IOPE Live Lift Serum Agave Fructan (40ml) during my holiday in Seoul, Korea last November 2017. I bought it at Olive and Young Store Myeongdong. At that moment, they have the promo and I feel it interesting about this brand. I forget the price of this product. The IOPE Live Lift Serum is anti-aging firming serum that creates even tighter and smoother skin. It is designed especially for the ribbon zone. The ribbon zone is the area from the under-eye line down to the cheeks all the way to the jawline. The special formula was designed with agave, a desert plant that retains moisture and always stays tightly firm. 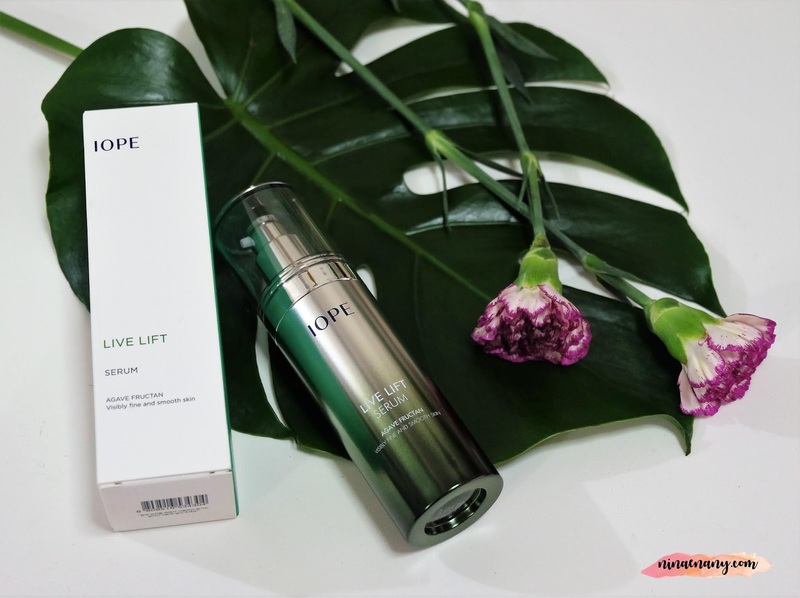 The IOPE Live Lift Serum a highly concentrated, potent serum that visibly improves skin's elasticity and forms a layered skin with a visibly tightening formula for smoother skin. The texture of this serum is a bouncy formula that delivers effective ingredients deep inside the skin with a silky smooth finish that envelops the skin. It is easy to use it. During the serum stage, pump the product 1 – 2 times and spread over your entire face and let it absorb before the next step. I have been using this product within 2 weeks and I can see my skin look better slowly. I like this product even the result I can't see immediate change but I like the way my skin looks better than before. I would like to give 4.2 stars out of 5 stars to this product. In this post, I'm personally wanted to say THANK YOU so much for all of you, who are wishes to me "Happy Birthday" on 25 January 2019 (Friday). I'd take time for almost 1 week, just to write this post. I'm feeling grateful to be a daughter in the wonderful family and also round the great friends. I'm happy to read all of your wishes and received the birthday's gifts from my mama, aunty, and friends. I love all of the gifts. 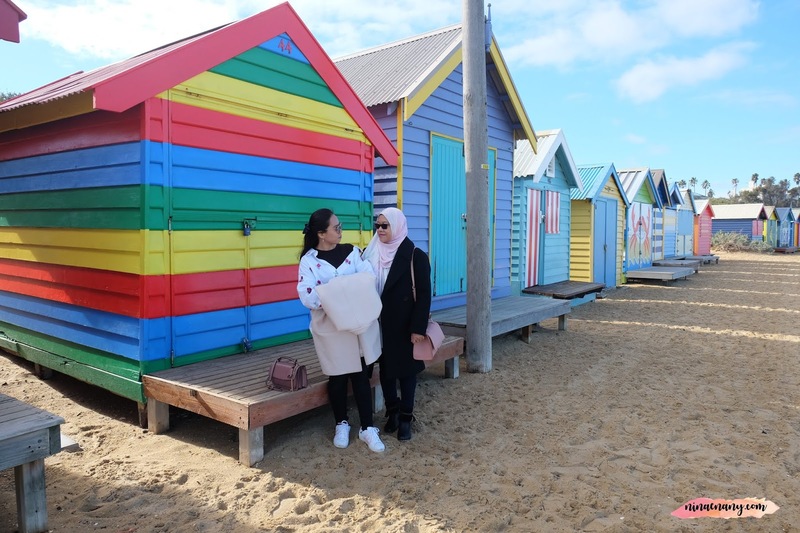 Even this is the third years I was celebrated my birthday without my late dad but I thankful that I still have my lovely Mama, who always beside me and patients on me. I always miss my late dad and I also never forget to pray for him. 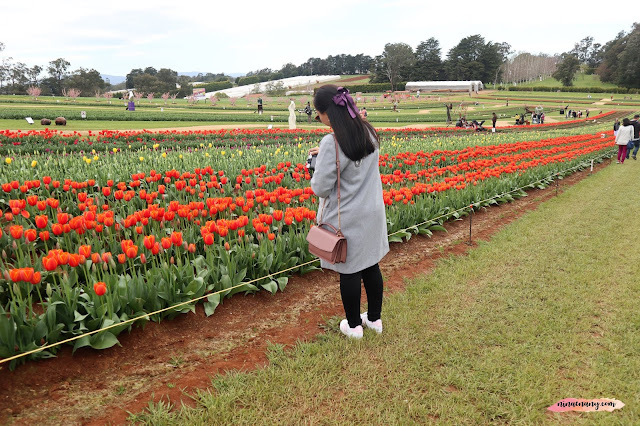 Sometimes when I have a hard time moments, my late dad always gets into my dream – he always takes me traveling in the dream and it is making me happy when I wake up on the next day. That makes me feel my late dad always beside me at all times. This year, my mom gives me a crazy birthday's gift, which is a winter birthday holiday to Seoul, Korea. 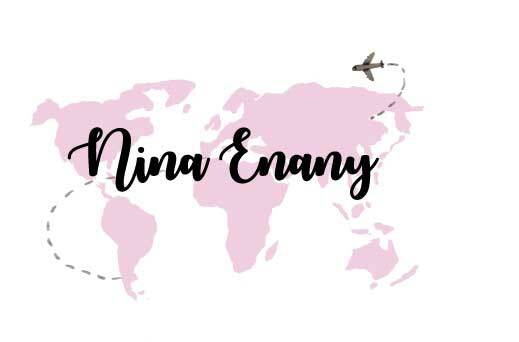 If you follow me on my Instagram @nina_enany – you will know that I'm just back from my holiday with my mom. That is my first time celebrating my birthday in Seoul, Korea even it's my seven-time going there. Not surprised, right? On this winter birthday holiday to Seoul, Korea – I got chance to experience the Business Class by Malaysia Airlines from Incheon International Airport to KLIA. That really the BEST memories of my life. Thanks, Mama for a great birthday's gift this year. You are the BEST MAMA EVER! LUV U SO MUCH!!! I'm also bought my own birthday gift, which is iPhone Xs Max with Gold color (256 GB), together with Apple AirPods. Actually, I bought this new iPhone Xs Max on mid-November 2018 using my saving money. I love it so much, but I still use my iPhone 6 meanwhile I already upgrade my iPhone. 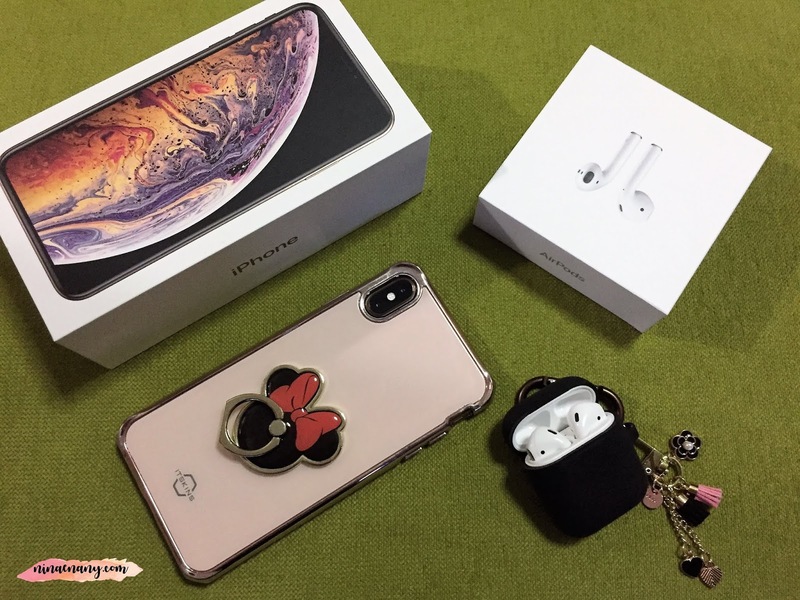 I do shopping the new casing of iPhone Xs Max and Airpod during my winter birthday holiday last January 2019. I love all the new casing of iPhone Xs Max and AirPods that I was bought at Seoul, Korea. I just start using the Airpod casing only and I look it has become the trend at Seoul, Korea – when most of the young generation are love using AirPods and iPhone X or iPhone Xs or iPhone Xs Max. It's easy to look at these scenes, especially in the subway.